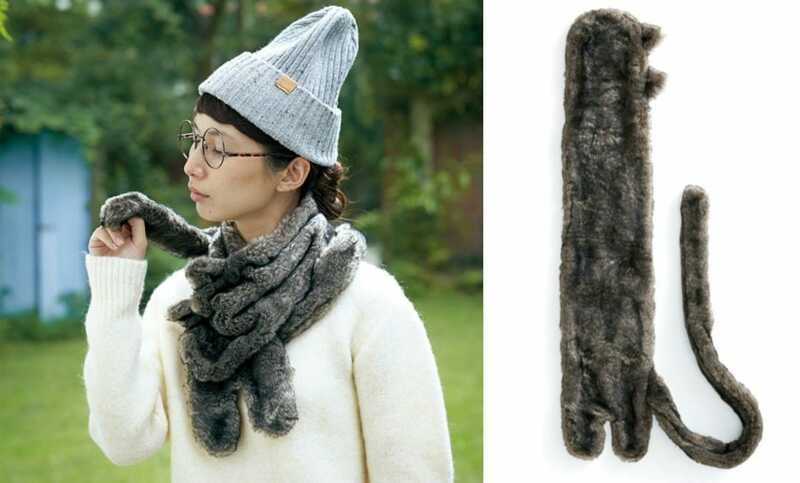 Keep Your Neck Warm with a Cat Scarf! The “Cat Tanpo Warmer” is 87 centimeters (about 34 in) long and 16 centimeters (about 6 in) wide, with a tail that measures about 85 centimeters (about 33.5 in). The warmers are available from Felissimo online on both their Japan store and international store for ¥3,125. Note that the English store calls it a “kitty hot water bottle,” but you can’t actually put water in it. The scarf is part of Felissimo’s “Neko-bu,” so ¥87 from each cat scarf order will go to a fund to support cats and dogs. It may not seem like much, but they have raised over US$1.3 million since 2003. The money is used to help find homes for cats and dogs who have been abandoned or rendered homeless after disasters as well as for the spaying and neutering of cats. Now, you can add a cat scarf to your holiday shopping list for yourself without feeling any guilt!